There are times when IT problems cannot be resolved by remote services. That is when you’ll need an Onsite IT Support in Perth. That will visit your premise and provide immediate technical operation. manage an emergency outage or simply need an IT. Presence to attend to you during your busy hours we have the perfect team to do the job. Our expert technical analysts can easily handle your network infrastructure, software applications and hardware. 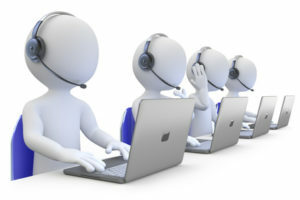 They have provided extensive Onsite IT Support in Perth for years. They established to have given outstanding services to different business industries. IT on-site highlights the support of network security system, server outage issues, data back-back up issues, and problems in Microsoft office. Our years of experience in this field is a guarantee that we can provide rapid solutions to all IT related issues. Before our IT personnel arrives on the premise, we assign somebody to assist you and to ensure that all of your concerns have been addressed in order for us to provide you with appropriate solutions to your problems. Whether you own a small to medium-sized business or large to a multinational organisation in Perth, Aleph IT is ready to serve you 24/7. We understand that there are unexpected problems that may occur during early and late hours of the day. Our customer’s peace of mind is our utmost concern, that is why we make sure we are always available. Our technical support service gives freedom to our clients in choosing the support that they need and want, and we are always ready to adjust! For reliable, cost-effective, and fast Onsite IT Support Perth, talk to us today. Our company also offers cloud computing, email hosting, web, and network security, ms office 365 management, and hardware supply. Call us on +61 8 6555 6664 for more queries. We give free quotations! This entry was posted in Aleph IT Services and tagged IT support, IT support perth, onsite IT support perth.